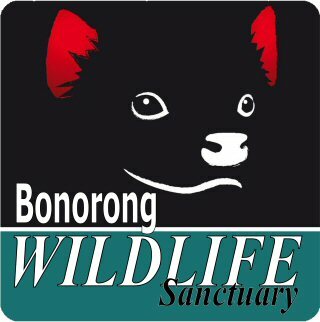 At Huon Bush Retreats, you can meet orphaned wildlife that has been hand raised, then returned to nature. 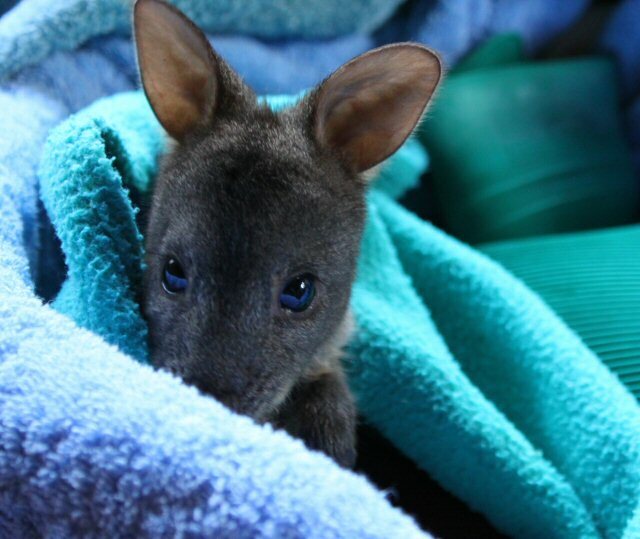 Meet Slasher, the orphaned wallaby. Slasher is a very lucky boy. Firstly surviving his mother being killed by a car, then the next day almost being turned to mince meat by the roadside grass slasher. Growing up at Huon Bush Retreats, he loves meeting guests and a scratch under the chin. In spring, he will be introduced to the outside world and the resident mob, many of who came to us as orphans. This includes Ronnie from the video below. Fly from Hobart to Melaleuca via spectacular wilderness. Visit the Needwonnee walk, an award winning Aboriginal experience before having refreshments. Board one of our boats, for a boat trip on Melaleuca Inlet and into Bathurst Harbour, from where you will be able to witness the wilderness from a viewpoint that you are unable to appreciate by air or by foot. Available as 4 hour or full day experiences. An obvious sign of human impact on animal populations is roadkill. In Tasmania, this impact is perceived as greater than in other Australian states, and is often noted by visitors. The amount of roadkill varies regionally with more roadkill occurring on the Tasman Peninsula than in the Huon Valley area. Brushtail possums, pademelons and wallabies were the most common roadkill. Driving speeds slower than 80 kmh allow timely detection and avoidance of most animals. The HOBI® Ultrasonic Animal Alert is the ultimate in highway safety and animal protection. 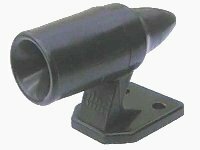 Designed to avoid accidents, this device is activated by wind flowing through it, at speeds over 50 km/h, the ultrasonic HOBI® Alert transmits a high frequency whistle which alerts most wildlife of your oncoming vehicle. Natural instinct takes over, animals react to the whistle, and a potential collision is avoided. 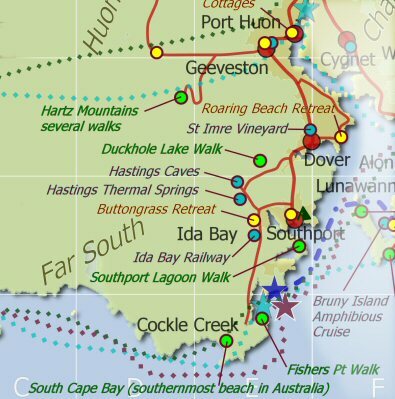 The 60 Great Short Walks offer the best of Tasmania's walking opportunities in National Parks, Forest Reserves and other public land. Whether you want a gentle stroll or a physical challenge; a seaside ramble or a mountain vista; a long day's outing or a short wander, Great Short Walks has plenty for you. 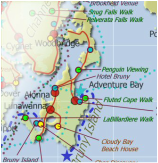 The walks are located throughout Tasmania and can generally be accessed from major roads and include a range of environments. 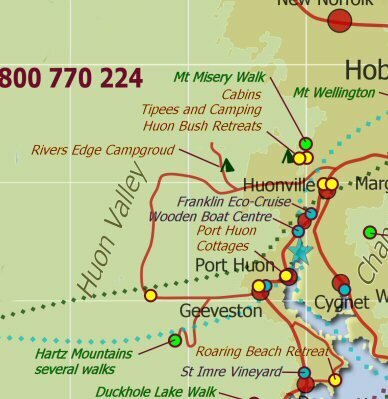 Eight of the walks are along the Huon Trail. The thylacine (Thylacinus cynocephalus) is one of the most fabled animals in the world. Yet, despite its fame, it is one of the least understood of Tasmania's native animals. European settlers were puzzled by it, feared it and killed it when they could. After only a century of white settlement the animal had been pushed to the brink of extinction. 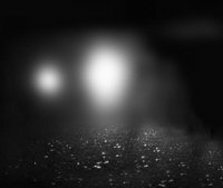 In 1982 a researcher with the Tasmania Parks and Wildlife Service, Hans Naarding, observed what he believed to be a thylacine for three minutes during the night at a site near Arthur River in northwestern Tasmania. In January 1995, a Parks and Wildlife officer reported observing a thylacine in the Pyengana region of northeastern Tasmania in the early hours of the morning. Later searches revealed no trace of the animal. In February 2005 Klaus Emmerichs, a German tourist, claimed to have taken digital photographs of a thylacine he saw near the Lake St Clair National Park, but the authenticity of the photographs has not been established. 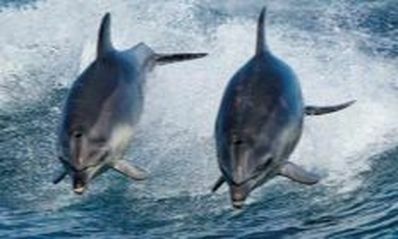 The photos were not published until April 2006, fourteen months after the sighting. The photographs, which showed only the back of the animal, were said by those who studied them to be inconclusive as evidence of the thylacine's continued existence. In late 2002 the researchers had some success as they were able to extract replicable DNA from the specimens. On 15 February 2005, the museum announced that it was stopping the project after tests showed the DNA retrieved from the specimens had been too badly degraded to be usable. Travel in small private groups from 1-6 persons, day and overnight tours. 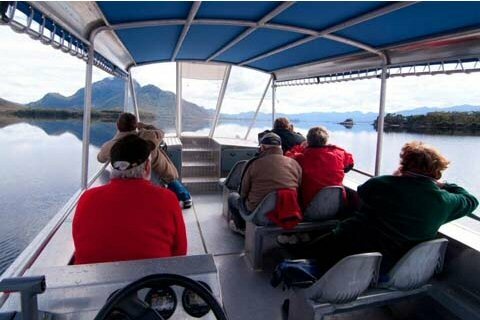 Flexible tours in Tasmania with itineraries to suit. No deadlines if you have the time! Your transport is in the comfort of a modern 4WD touring vehicle complete with air conditioning and heating, luxury leather seats, DVD, personalised headsets and a fridge to keep your purchases cool. Travel our wonderful wine food and art regions, discover ancient forests, world-class coastlines, majestic islands,Tasmanian heritage, fauna and flora and discover what makes Australia's southern most state a very special place to visit. Flexibility and laughter is my motto! 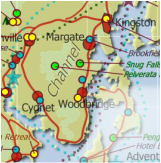 ay tours pick up from all over Tasmania including Launceston, Devonport, Hobart and Burnie and door to door service. 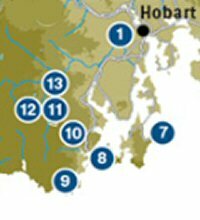 Tasmania i-Drive is about your day tour being customised, private and flexible. Travel on an eco cruise or experience the heritage and wilderness that Tasmania has to offer like Bruny Island.The beautiful Huon Trail to the far south and more with spectacular sightseeing and photo opportunities. Enjoy the crisp pinots from Heriots Point Vineyard, Home Hill, Panorama and Hartzview - customise your own wine tour. Click here to enquire with your desired dates, number of people and areas of interest. 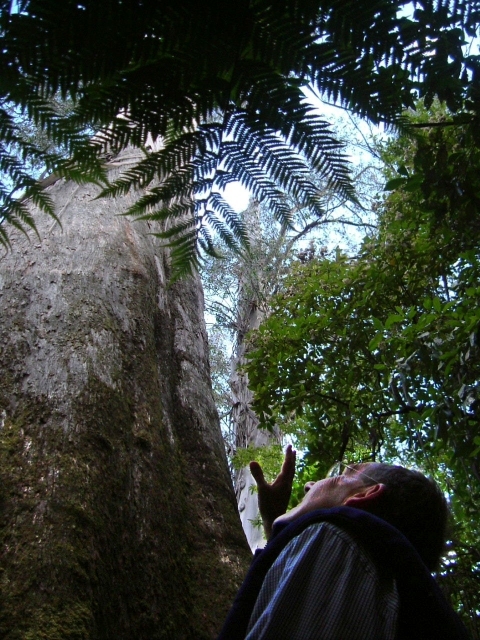 The debate about whether Tasmania's forests are harvested for sale as wood products or are protected as entire eco systems has raged for over 30 years. Our Common Ground is about achieving Tasmania's true potential where environmental sustainability underpins economic prosperity. It was established in 2009 by individuals, organisations and businesses from all walks of life and all political persuasions. Our Common Ground believes we can create a sustainable and prosperous Tasmania where we can protect our forests, grow Tasmanian jobs and develop a vibrant timber industry. Our Common Ground is working to end the forestry conflict. These videos share the thoughts of loggers, politicians and conservationists.